I hope everyone's Monday is going like clock work. I decided to wear my New Re-Styled Skirt today. 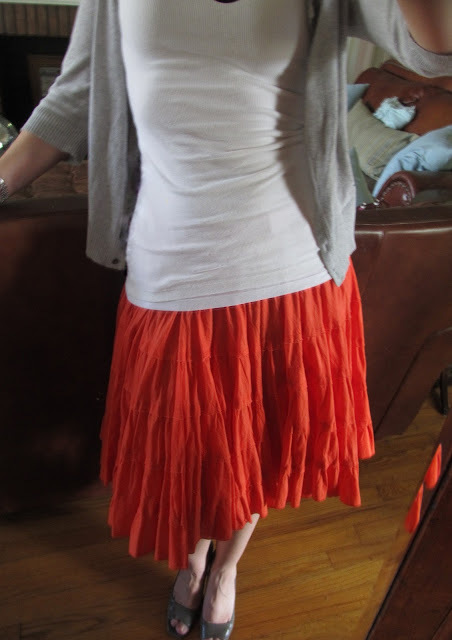 I really like Orange and Gray together, in fact Gray is a good neutral , that goes with almost any bright color. I love to wear Bright colors, but I do not want too much bright. 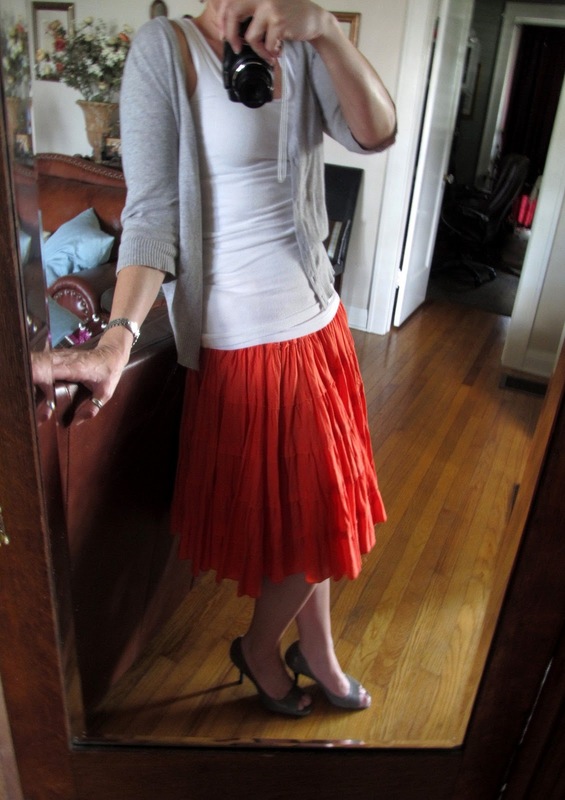 I also think flats would look nice with this skirt, as well as with heels. 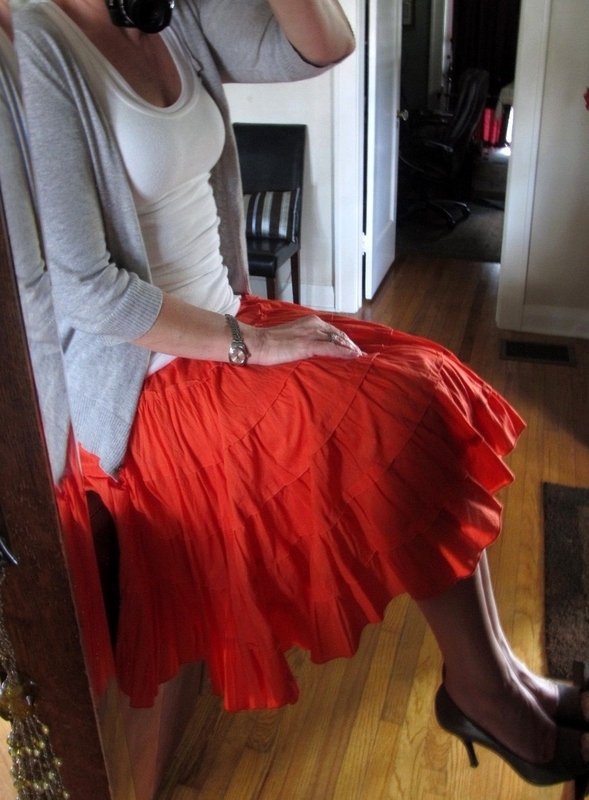 I am really starting to love full girly skirts. Ten years ago, no way! I guess I am getting soft in my old age.. I hope Everyone has a Wonderful Monday Night! An other beautiful look. This is something that I would definitely wear. That skirt is so cute. I dont think I have anything orange in my closet... ok maybe one tank top that doesn't quite fit? need to change that! have a fabulous day dahhhling! Look at you all pretty in orange! Love it!